This book did a really good job of holding my attention throughout. I found Elysa a character who was really easy to relate to. Although there were times I got a bit confused by how she was communicating at first, I felt really bad for her with the fact that she’d lost her voice. Although it seemed like she managed to cope, more or less, with the situation, it seemed it was all too easy to allow people to pass over her and that there were times she found it easy to allow that, rather than fight to be heard. Which I think was one of the main points in this book. I found it interesting that Elysa’s aunt was called Ursula, since it seemed to be a nod to the Little Mermaid. Lemon was a really nice person, though, and it was pretty good to see how Kirby viewed Elysa and how the other characters in this book viewed her, too. There was a variety of different reactions to the fact that Elysa was mute and I thought it was good to see something so true to real life. There were really only a couple of characters I had a strong dislike for – the mayor and Mr. Kane. It was pretty awful to see the way they pitted their sons together… and that Katz came across as really quite sexist. In contrast, I did like Noah… and it was a pretty awful position, since both Noah and Christian were good people… and good friends (that came across really well in their interactions with each other). I couldn’t really root for one or the other. All I could really hope for was their friendship not to suffer due to the rivalries. I thought Sebastian was really cute in this book. I thought the author portrayed him really well and it was sweet to see how much he liked mermaids. There were times I got upset on his behalf… which is definitely one of the hallmarks of a good character. I liked reading about the references to Elysa’s family back home. Although there weren’t many opportunities for the differences in cultures to come across, it was good to see the things like Elysa having to calculate the money in her head and her refusal to eat commercial chocolate. I would have liked to know more about her different sisters, too… though it was good to get something of her interactions with her Granna and twin sister. I found this book to be quite emotionally moving and one that I expect will stay with me for a while yet. I’m sure I would read more books by this author in the future… especially if I get to see more of the characters. 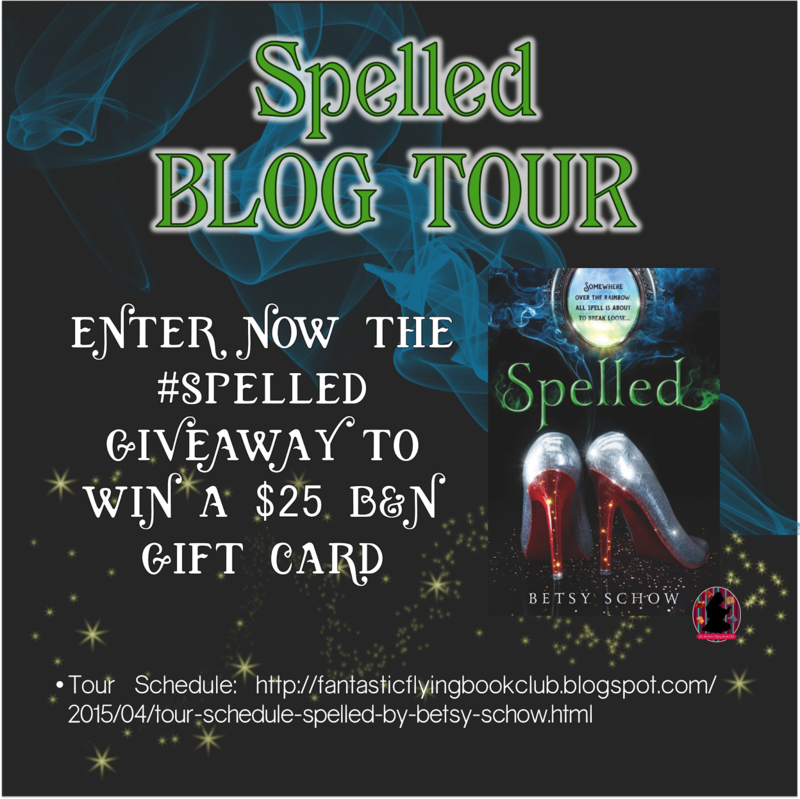 Follow the The Summer of Chasing Mermaids Blog Tour and don’t miss anything! Click on the banner to see the tour schedule. 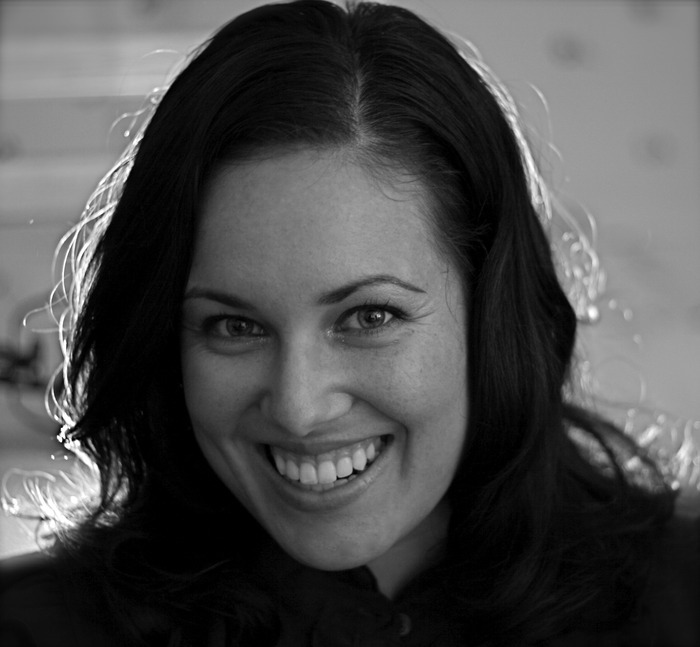 Sarah Ockler is the bestselling author of young adult novels, including #scandal, The Book of Broken Hearts, Bittersweet, Fixing Delilah, and the critically acclaimed Twenty Boy Summer, a YALSA Teens’ Top Ten nominee and IndieNext List pick. 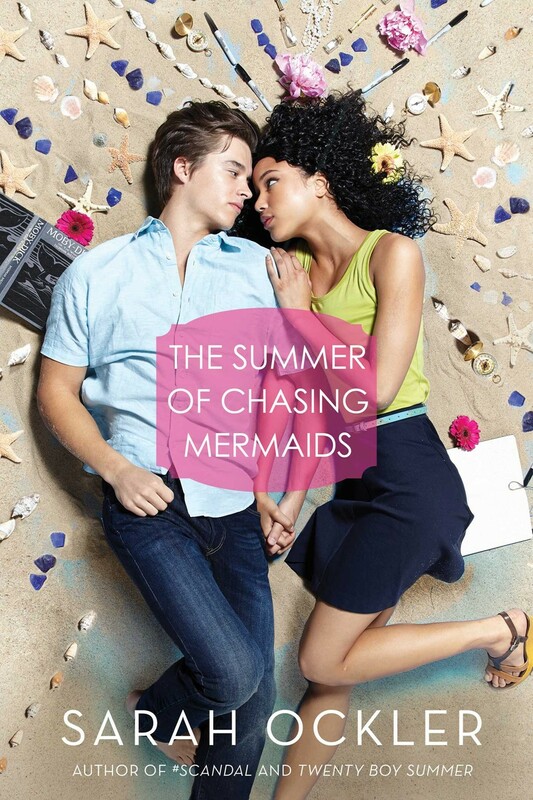 Her latest, The Summer of Chasing Mermaids, hits the shelves in June 2015. Sarah is a champion cupcake eater, coffee drinker, night person, and bookworm. When she’s not writing or reading at home in Washington, she enjoys taking pictures, hugging trees, and road-tripping through the country with her husband, Alex. After accidentally reading the wrong book, I picked up this one, not certain how fast I’d be able to read it… as it turned out, this novella was a quick and easy read. I thought it was particularly good, because it dealt with a very real issue. 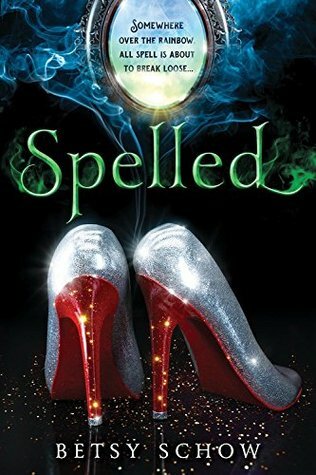 Although I haven’t read the first book in this series, I knew Halle from the second book and I had been introduced to Blakely in the second book, too. I thought it was good to see that Blakely wanted to learn about her history… where she came from. There were scenes interspersed with Blakely and her family and I found myself sympathising with Hector quite a bit when the book switched over to him. It was nice to see some scenes of Blakely and Halle just being sisters. I could see a real difference in the sisters’ personalities and how they interacted with each other and the people around them. I thought it was good to see the protection Blakely had to be under with being such an important figure, but I would have liked to see a bit more of her duties in the palace. I did find Lili to be a bit more of a well-defined character than Graham. I didn’t get to see too much of his interactions with his daughters. There were some very sad moments in this book and although it was less of a mystery than the one I read in this series, I found there were still some quite intense scenes. It was nice to see some of Max and Blakely and I would have liked to see a bit more of them. I do intend to read the other book/s in this series at some point in the future, especially the first one. I would like to go back to the beginning and meet the characters properly. This is a day late, unfortunately, but due to two night shifts and too little sleep… I was writing this while drinking an energy drink just before work. This… probably wouldn’t have been the kind of film I would have chosen to watch on my own. Although the trailer did look good the first time I saw it, this genre tends to be one further down on my list to watch. But one of my brothers just turned fifteen and this was his first ‘official’ viewing of a movie with that rating. 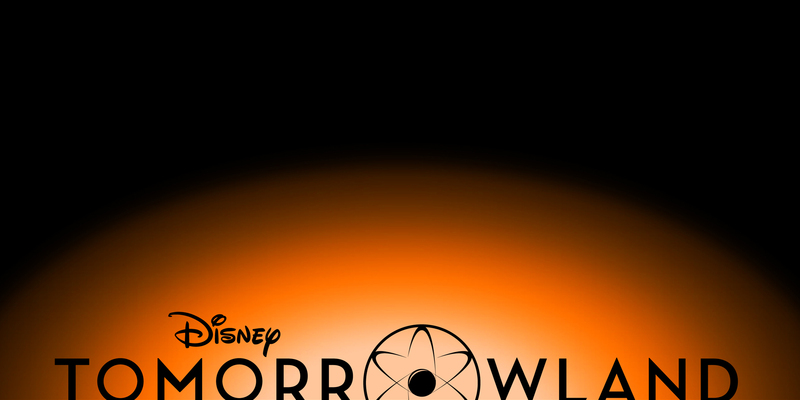 I enjoyed this movie a lot more than I thought I would. Loosely based on a true story, I felt that the concept was one that worked especially well. 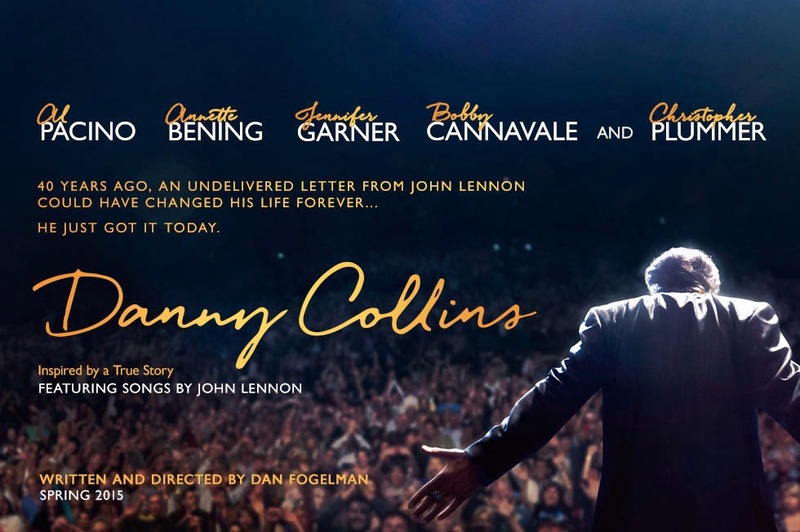 Danny Collins in the first scene of this movie was a character who I felt a lot of sympathy for. As an older man, it was obvious his lifestyle was stagnating (the not-so-surprise birthday party) and it was clear he did need something of a wakeup call. There were some really amusing moments in this movie and occasions where I found myself outright laughing. As well as the humour, though, I felt the serious scenes worked really well. There were parts that were really quite emotional, especially towards the end. I had a lot of empathy towards Tom in this movie. I could really understand his reluctance to let his father into his life and I enjoyed watching his relationship with his wife and daughter. I could fully understand how difficult it had to be for him and Samantha to raise a daughter with those kinds of difficulties. Hope was probably my favourite in this movie, though she did come across as younger than she actually was supposed to be. I also noticed that there were very little similarities in hers and her parents’ appearances. I did like the romantic aspects of this film, but it was also good to see that the focus was more on the family… even if the running jokes about dinner were amusing. I did like the ending of this movie and I though the actors worked really well in their roles. During the end credits, there are snippets of the true story this film was inspired by and I felt those were worth watching. Personally, I don’t think I would watch this movie again. But it was well-made and well-cast; funny in parts and emotionally moving in others. If you’re on the fence about seeing this, I would suggest giving it a try. It’s not the sort of film I would personally choose to watch normally and I really enjoyed it, so… see what you think. I was immediately drawn into the storyline of this book. I found Eden to be a character who was easy to relate to… though her own descriptions of herself of pretty, with no actual description, was kind of irritating. I felt that the society of this world came across really well. 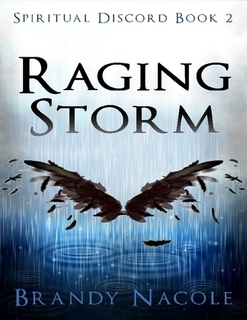 There were some pretty awful things about the world that Eden and the rest of her family were in, but the sheer desperation people had to survive came across really well. Even though some of the methods they had to utilise for survival were pretty awful, I could understand how they were driven to it. Even by the end of the book, I still had some questions about how Erasing worked. It took me a while to figure out that Erasure was a normal punishment and not just for more unusual/major crimes. I would have liked to learn a bit more about the society Eden was in, although I did think it made sense for her not to know everything. There was a potential lead to her finding out something about her past… but considering what happened after that, it made sense she wouldn’t follow up. I found the other characters to be really interesting, though I had some mixed feelings about Jonas. Even though he was a good person some of the time, I felt he was a bit of a jerk for most of the time. I much preferred Apollon to Jonas, since I could see that Apollon really did seem to care about the members of his family… and not just about manipulating them for his own goals. I also particularly liked Miranda, even though there were times I felt she came across as more of a foil for Eden. Apart from Apollon, my favourite character was probably Oscar. I liked the relationship he formed with Eden. I couldn’t really say I liked Matt as a character, even though I found him an intriguing one. I would have liked to know more about his history and motivations, but although he was ruthless and cruel a lot of the time, I felt there was more to him. 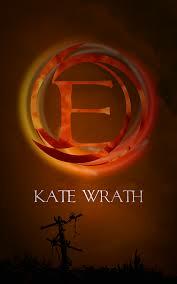 I am hoping to read the next two books in this trilogy, as well as the prequel, at some point in the future. I’m interested in seeing more of the society and the characters. Although there were hints of a love triangle, I still found this to be an entertaining and easy read. I think it’s worth reading if you enjoy dystopian novels. Having read the previous two books in this series, I was happy to have this one ready on my Kindle. It was good to see the characters I recognised from the previous books… and there were also a couple of new ones who intrigued me, such as Gracie and Katarina. It was good to see that Emma and Braylee were being taught about how to fight… but I don’t like the hints of the love triangle developing. Part of the reason I liked the first book so much was because Emma didn’t conform to the paranormal romance heroine who falls for the supernatural guy instead of the one who’s been around for her all the time. So although Asher was a character I’d like to know more about, I don’t like how he seems to have become so obsessed with Emma so quickly. I did feel even more for Sabrina through this book. It was difficult to read about her struggle to hold onto what little humanity she had left. I also liked seeing how, although Sabrina was a top priority to Kayson, he wasn’t blind to the plight of other halfs. I found Stille and Falon to be interesting, to an extent, but the scene towards the end between them seemed to be lacking something. 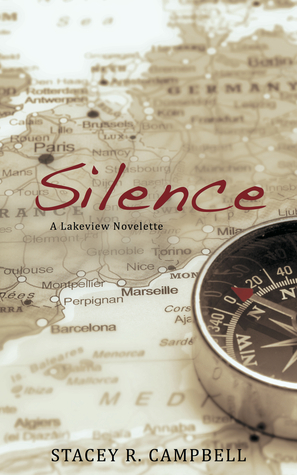 At the same time, I did like Stille a bit more as a character in this book. There were some quite good amusing moments in this book. I did continue to like Gabriel and Riann together and it was good to see that Kayson had the others following him… even though he didn’t see himself as a leader. There were quite a few tense moments in this book as well. I found it easy to care about the characters I knew from the previous books and it was also good to meet Ree. I would have liked to meet a few more of the halfs, but I thought that the idea of Ree’s piercings was a good idea… even if there’s no guarantee they would work completely. I definitely do intend to read the next book/s in this series when I have the chance… as long as there aren’t love triangles that take over the whole storyline. With thanks to the Fantastic Flying Book Club (FFBC) and Brandy Nacole. Although I wasn’t completely sure exactly where this book was set, I found myself drawn into the plot and world of this book really easily. Although Dorthea did come across as a really shallow character at first, I felt that she developed really well through the course of this book. Even though what happened to her was her own fault, there were times I couldn’t help feeling bad for her. I thought it was good to see the different worlds and how they interconnected with each other, though I would have been interested in seeing a bit more of the well-known characters from fairy tales and how they all fit in the world. I wasn’t very clear about whether they were the actual fairy tale characters… or their descendents. Dorthea didn’t really start off as a the typical heroine. In fact, if I was looking at her from an outsider’s perspective, I probably would have found her to be a really irritating character. As it was, seeing the plot from her perspective helped me to empathise with her a whole lot more… and I particulary found it interesting to see her own thoughts about how she’d grown and matured. I thought it was a good idea to have the snippets of fairy tale lore included where it was relevant in the plotline and how the normal rules of the fairy tale world didn’t apply, after the wish that Dorthea had made. It was interesting to see the use of words from the world as swear words. I’ve commented a few times that it’s irritating to see modern/this world curse words in a historical or other-world fantasy book, so it was really good to see Dorthea have her own versions. I did especially like the romance in this book. I thought it was good that the time was taken to develop it and I did like Kato. There were some really sweet moments between the two of them, despite how Dorthea viewed him at first. I also found Rexi to be a really well-rounded character and it was amusing to see her and Dorthea interacting with each other. I was a bit disappointed to see that the book ends on something of a cliffhanger. It does, however, make me want to read the next book/s in the series. I felt my own lip curl in response. Howrude! Who the Grimm was this peasant to judge me? I was wearing a Glenda original. Original! Not some fairy-godmother knockoff worn by those servant girls turned royal. I was a crown princess, for the love of fairy, and noone dismissed me. Becauseacageisstillacage, no matter how big or glittering the bars are. Although I didn’t really find myself laughing at any of the letters in this book, I did find it entertaining to listen to; in particular the different voices the two readers were listening to, which was a lot more interesting than just bland reading. I can appreciate that a lot of work did clearly go into this book and it was interesting to hear all of the different imaginings of things that people might write to their president. Some of the letters seemed fairly nonsense (like the one about the housewife saving money by having one of her children go without dinner each evening); others were a bit sweeter, particularly the ones written by young people. I found myself rolling my eyes a bit at the letter asking for money. And there were a few that seemed to deal with some very real issues, even while there were others that were clearly written as pure entertainment, such as the one written by an alien. There was also a letter with a lot of ‘redactions’ in it… but was somewhat amusing; not because of what was implied by the redacted statements, but by the observations of a television series and long speeches being viewed as torture. That was one of the more amusing letters, I felt. 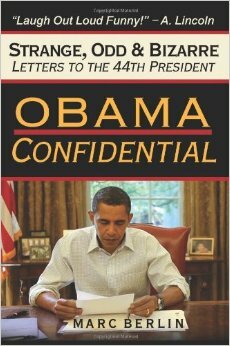 Although this book is clearly fiction, I can’t help wondering how many of those might be along the lines of letters Obama would actually receive… even the letters that came across as completely random. It was amusing to see some running themes through a few of the letters, though a couple kind of brought an eyeroll from me. It was also interesting to see a few letters addressed to Obama’s wife… as well as the brief replies penned by Obama. This is my second attempt to read an audiobook. Although I did manage to stay listening to the end and the voices the readers used really helped to make this a bit more entertaining, I think I’ll continue reading books myself and at my own pace. It’s a bit easier that way… not to mention faster for me. But it was a good experience to try out. 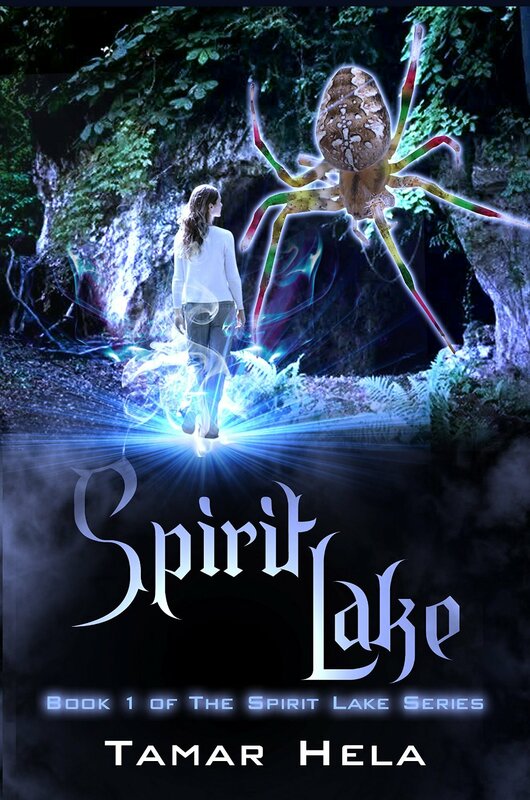 Having read and enjoyed the first book in this series, I was quite happy to read the second book and even though it had my hated multiple first person POVs, I still found it tolerable to read. I just would have preferred the chapters to be in third person if there were going to be multiple POVs. It was good to see the characters I’d got to know in book one. I liked Kayson’s refusal to leave Sabrina’s side and in a way, it was interesting to see her and the others from his perspective. I couldn’t help feeling sorry for Sabrina during this book. What happened to her was vastly unfair… and it only seemed to get worse as everything went on. I thought it was really good to have the opportunity to learn more of Riann in this book and it was pretty cool to read of her relationship with Gabriel. There were a couple of things that made me smile… although there were one or two scenes that seemed a little cliched. I did feel some sympathy towards Emma, even though I didn’t agree with what she ultimately did. I also found Tate to be an interesting character and it was good to see that he didn’t just believe everything going on like that. At the same time, I thought that he and Emma seemed to repair their relationship a bit too quickly. I didn’t feel that there was as much action in this book, apart from towards the end… but I didn’t find myself getting bored. It was good to read about the relationships between the characters and I especially liked Briston and Emma. I would have liked to see some more sweet moments between them, but I thought it made sense that the book focused less on the romance and more on the problems they were facing. There were times when I really wanted to reach into the book and shake some of the characters, particularly the fallen. Emma’s human friends actually came across as more compassionate than the angels should really have been. 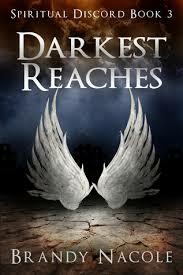 I do have the third book in this series on my Kindle and I will be reading it before this week is out.